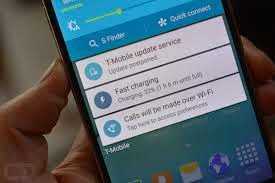 Today I will tell You how To activate Fast charging feature in your Samsung galaxy S6 and S6 Edge.After getting you Galaxy S6 or S6 edge you may be wondering How to to Activated Rapid Charging features so that your mobile can Be charging With in one Hour.Is’t it interesting.Now charge Samsung galaxy S6 very fast.You can also check the cost of replacement of Screen and battery of Samsung galaxy S6 and S6 edge here.It will help you for future need. As we all know that without rapid or fast charging Feature Android Mobile takes At least 3 Hours to Get Full charged from 0 to 100%. Lets Begin with the few steps to get Rapid Charging enabled in your Samsung galaxy S6 and S6 edge. But before staring with steps I want to tell you some messy truth that Rapid charging will not work on stock Usb cable or Charger’s Cable that you get in the Box,As many user facing this problem that there rapid charging is not working in Samsung galaxy S6 and S6 Edge due to it’t stock Usb cable. So the solution is to Get a new cable with Good Quality and then try the below steps to get Rapid charging works in you S6 and S6 edge.You should not compensate with the quality and be insure that your device works good. 1.Firstly plug a new Usb cable to your charger and then to your Mobile USB port. 3.Then Go to battery setting in the Settings. 4.After Opening Battery option You will see Rapid Charging Option just check the box or uncheck it to turn off the fast charging in s6. 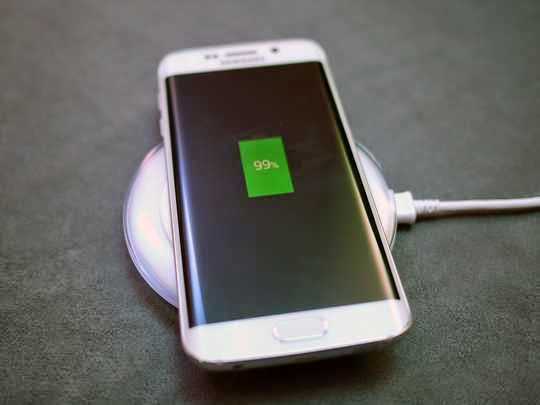 5.Done!Now your rapid charging feature is activated in your Samsung Galaxy S6 and S6 edge. If you are facing any problen in enabling rapid charging feature in you S6 and S6 edge you can Comment below and And also do insurance of your device :D.Don’t Forget to Say thanks in comments. I turn my fast charging setting and then when I plug in the fast charger it is turning itself off! Try to change the cable for the charger! I followed your tip but no option for fast charge showing. I used to have fast charging. I am still using the original Samsung charger. Any ideas. ? Just make sure that you dont have daydream mode turned on. As it displays patterns photos etc when charging it disables the fast charging. Turn it off if on and you will have fast charging again!!! Thank you ,by just pushing the cable a little bit further into the phone’s port ,it’s now fast charging. Yay. I have an S6 active and it suddenly stopped fast charging. I have tried 3 different adapters and cables. Nothing works. Also, I do no have the option in my setting to turn it on/off. oh my gosh! thank you so much!!! My S6 does not have a fast charge option. It has worked in the past however but stopped about a week ago. How do I fix the problem without a fast charge option?